I'm a huge fan of my freezer. Before I got better at cooking for myself, I used to think the freezer meant frost-bite and lower-quality food. I've since learned that freezing food correctly can lead to better-tasting food and save me a TON of money. If you're on a budget but still want to eat well, freezing is the way to go. First off, freezing keeps food longer (especially good if you're cooking for one - good for saving extra ingredients as well as leftovers). Freezing also saves you money: buying in bulk is cheaper, so you can buy and freeze, or you can buy on sale and freeze it, plus, frozen foods can be cheaper than the fresh alternative, like frozen fruits. Lastly, freezing saves you time - like a lot of time - you don't have to run to the grocery store every other day for protein if you buy a package of chicken and freeze it in individual portions once or twice a month. One of the tools that has helped me to fall in love with freezing is the FoodSaver, a vacuum-sealing tool that keeps food fresh for longer. I rave about my FoodSaver all the time here on the blog, and you can read all of the reasons Why Every Millennial Needs a Food Saver and be convinced for yourself. If you aren't interested in a FoodSaver (are you crazy?! ), buying good, freezer-quality plastic bags and Tupperware containers is a good investment. The less air, the better (= less frost bite). 1-2 frozen vegetables you will actually eat - Frozen veggies allow you to always have a healthy, easy side on hand to make at any time - and you don't have to worry about using a huge bag of fresh veggies before they go bad. Some frozen vegetables can actually be more nutritious than fresh ones, since they're frozen at their peak and therefore retain more nutrients than fresh veggies, which begin to decline the moment they're picked. Unless you can buy in-season, frozen vegetables are probably a better option, especially if you're cooking for one. I always have broccoli and edamame in the freezer, and the bags are super easy to seal back up for another use when I just grab a cup or two at a time. Frozen fruit -Similar to frozen veggies, frozen fruit is often healthier than fresh fruit. Unless you're buying in-season, your fresh fruit has probably traveled a while to get to you, and the quality and nutritional content has declined since it was picked. Frozen fruit is also much more economical. I go through strawberries by the pound for smoothies, but also keep blueberries on hand for smoothies, baking (like muffins and pancakes!). They're so much cheaper than buying fresh, especially in the dead of winter in New England. Chicken breasts - You can make almost any recipe with chicken breasts in addition to the million recipes that call for chicken specifically. Think chicken parm, pesto chicken, chicken salad, and grilled or roasted chicken for topping on salads. I keep them in single serving packages using my FoodSaver for highest quality (but you can also use a plastic bag with the air squeezed out). Rotisserie chicken - I shred full rotisserie chickens from the deli and store them in single-serving packs in the freezer for - using my FoodSaver, of course. I use them for chicken salad, grain salads, pasta salads, for tossing in pasta like pesto pasta with mozzarella and tomatoes, and my Middle Eastern Grain Bowls. Tilapia filets - For dishes that call for white fish, like fish tacos and baked tilapia. I've mentioned this before, but I buy frozen fish instead of fresh (unless I'm buying fresh, caught that day, never-frozen fish....which is rare, because that is above my budget, tragically). 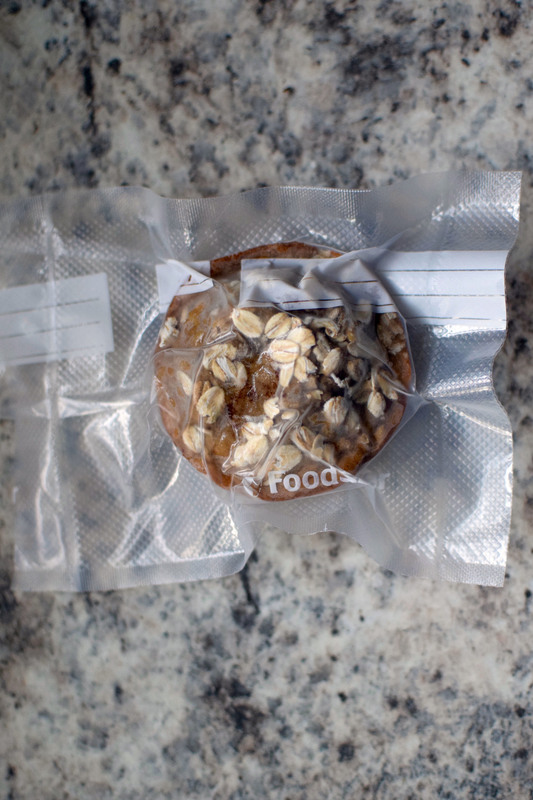 I buy the bags that come in individual, vacuum sealed packets (it's like you have a FoodSaver even if you don't!). Subscribe to read a full post about frozen fish, coming soon. Shrimp- I use shrimp a lot. I love it because it's tasty, healthy, and easy to defrost quickly (if you forget the night before - oops). Use it for shrimp scampi, pesto shrimp with pasta, Coconut Shrimp with Mango Dipping Sauce, topping salads, with risotto, and baked shrimp with flavors like lemon, garlic, white wine, tomato, and bay leaves. Almost 100% of shrimp is flash-frozen at sea, meaning no matter what you're looking at in the grocery store, it was almost certain to have once been frozen - that means buying shrimp from the freezer section will actually taste better. AND be cheaper. Ground turkey - There's always something to use ground meat for. I like turkey best and use it in my Freezer Friendly Mexican Stuffed Peppers. Also useful for tacos, nachos, pasta, soup, chili and meatballs. I usually buy my turkey in larger packs and then freeze it in single or double serving portions, about a cup per portion. I usually use sandwich-sized plastic bags and flatten the meat out to an even thickness, freezing while flat and then standing up once frozen. This ensures you'll be able to defrost at an even rate - and it will defrost quicker than if the meat were in a huge ball or block. Another good way to do this is to use a cupcake tin, freeze the meat in the this, and then pop out the cubes when frozen and store in a plastic bag (or vacuum seal!). Ginger - Did you know you can freeze ginger? It makes it even easier to grate into your food when frozen, and extends its freshness for months. I use ginger in stir fry, sauces, and as a marinade or dressing. Ice cream - This one's a given. You never know when you might need a milkshake, root beer float, or scoop of ice cream on top of a piece of pie to cheer you up. When you get hit with a craving for sweets, it will also save you money - you won't be tempted to go out and buy something more expensive. Tell me your must-have freezer food (or dessert...ahem, ahem, ice cream!) in the comments! 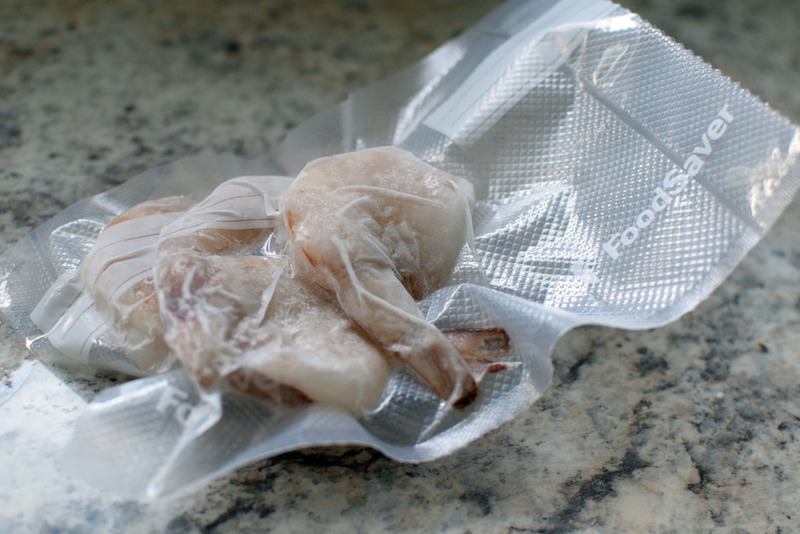 Just a few of the things I freeze with my FoodSaver vacuum sealer! Note: This post contains affiliate links for a product. I recommend. That means if you click on a product link in this post and choose to purchase the product on Amazon, I earn a commission. I only recommend products I use and love organically. This means that if you are going to purchase a product that I recommend, I encourage you to do it through the direct link from the blog so that I (and the blog) benefit.